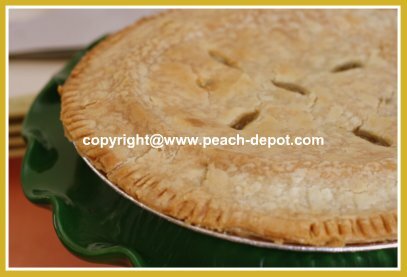 This Easy Rhubarb Peach Pie uses CANNED peaches and fresh OR frozen rhubarb to make a scrumptious peach pie filling for a double crust peach pie. 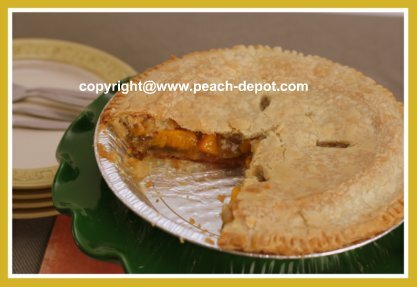 A unique peach pie which is sure to get amazing accolades from family and friends! 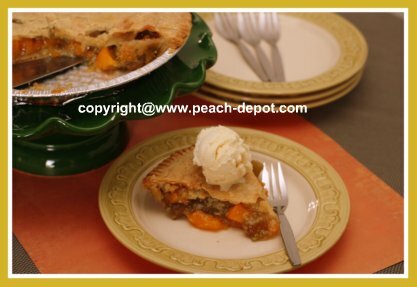 Try something different today ... make a Peach Rhubarb Pie! Drain the peaches, reserve about 2/3 of the juice, and chop the peaches into smaller pieces. 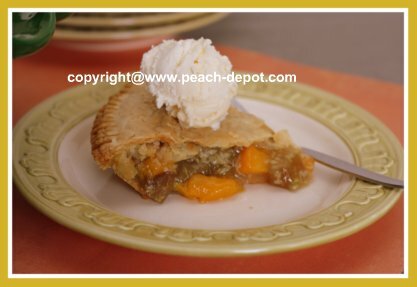 In a bowl, combine the chopped peaches, the peach syrup, chopped rhubarb, granulated sugar, coconut, corn starch and the vanilla extract. Fold the above pie filling into the bottom pastry (crust), and dot with the margarine, (or butter), divided into small pieces. Top with the remaining pastry and seal the pie crust edges. Cut "vent slits" in the top crust. 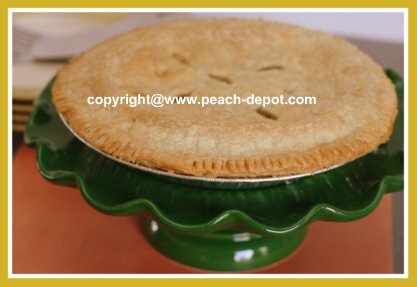 Bake at 350° F for 1 hour or until crust is golden brown and filling is bubbling from vent slits. Note - I like to add a pie crust shield after the pie has baked for about 30 minutes to help prevent the pie crust edges from becoming too dark or burning. ENJOY for a dessert or a snack time treat! 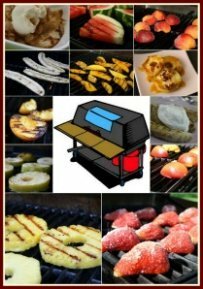 Check out my "sister-site", Rhubarb-Central for amazing recipes! Love cool cake and pastry stands? I do! 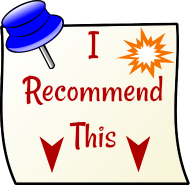 Check out my favourites at the link below.